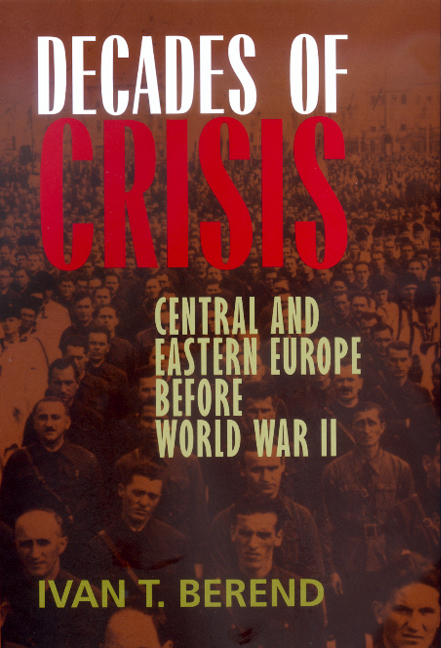 Only by understanding Central and Eastern Europe's turbulent history during the first half of the twentieth century can we hope to make sense of the conflicts and crises that have followed World War II and, after that, the collapse of Soviet-controlled state socialism. Ivan Berend looks closely at the fateful decades preceding World War II and at twelve countries whose absence from the roster of major players was enough in itself, he says, to precipitate much of the turmoil. As waves of modernization swept over Europe, the less developed countries on the periphery tried with little or no success to imitate Western capitalism and liberalism. Instead they remained, as Berend shows, rural, agrarian societies notable for the tenacious survival of feudal and aristocratic institutions. In that context of frustration and disappointment, rebellion was inevitable. Berend leads the reader skillfully through the maze of social, cultural, economic, and political changes in Hungary, Czechoslovakia, Yugoslavia, Poland, Romania, Bulgaria, Albania, Austria, Latvia, Lithuania, Estonia, and the Soviet Union, showing how every path ended in dictatorship and despotism by the start of World War II. Ivan T. Berend, Professor of History at the University of California, Los Angeles, is former President of the International Committee of Historical Sciences and former President of the Hungarian Academy of Sciences (1995-2000). He has published widely on the economy and culture of Central and Eastern Europe.